Setting up an online store can be an exciting time for any retailer, and can bring to you a world of customers that typically would not be accessible in a brick and mortar location; but it can also be a lot of work. To help you with the difficulties that may arise when setting up an online store, we’ve curated some of our favourite tips to help ease the process. As you build your website, you will need to pick a URL or domain name that accurately reflects your business, and is easy for customers to remember. The standard practice for a website name is to choose the name of your business, which is likely the best place to start. If you find that this URL has been purchased by someone else, you should consider modifying it by using another recognisable feature of your business; this could be your location, the owner’s name, or something else identifiable. Creating a website may seem daunting, but with the recent progress in the world of web development, it can be a breeze! There are a number of website builders that will help you construct your own site without any additional support. These platforms will walk you through the entire development process, from purchasing a URL and laying out your webpages, to integrating ecommerce and publishing your website. These website builders do vary in pricing and offerings however, so it’s important to do a little research yourself to determine which is best for your business. Your website builder may have a preferred payment processor that is suited to specific needs, so make sure to investigate this early. Some website builders offer monthly payment plans to use their partnered payment processor. Others may request that you integrate an online payments system on your own through a simple HPP (hosted pay page) or a more complex API (application program interface); if this is the case, you may want to read up on How to Accept Credit Card Payments Online. The written product description is an excellent way to provide as much detailed information as possible. This could include product sizing, materials, weight, or other relevant information. Browse similar online sellers to see what buzz words they’re using to reach your shared market, and trends that are top of mind for your customers. The better a photo is, the more accurate of an understanding a customer can have of a product. High-resolution photos that can zoom in to show small details of a product could be the deciding factor for an undecided shopper. Like all good websites, an important key to online business is to continually test your website and optimize the shopping experience based on your customers’ needs. Run simple A/B tests on your website to see which changes your customers prefer, and implement those changes on a regular basis. Testing can be something as simple as which colours users find more favourable on a page, or even the layout preference of the navigation bar. 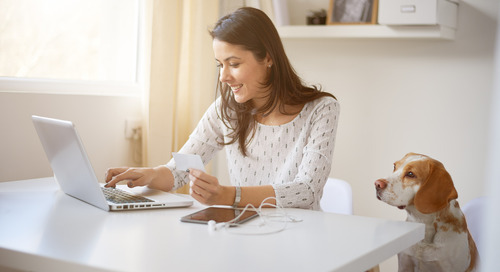 For more information on online success, make sure to check out our article on The Best Online Payment Methods For Your Business.